In this sequel to the bestselling fantasy thriller, Angelfall, the survivors of the angel apocalypse begin to scrape back together what's left of the modern world. When a group of people capture Penryn's sister Paige, thinking she's a monster, the situation ends in a massacre. Paige disappears. Humans are terrified. Mom is heartbroken. Penryn drives through the streets of San Francisco looking for Paige. Why are the streets so empty? Where is everybody? Her search leads her into the heart of the angels' secret plans, where she catches a glimpse of their motivations, and learns the horrifying extent to which the angels are willing to go. 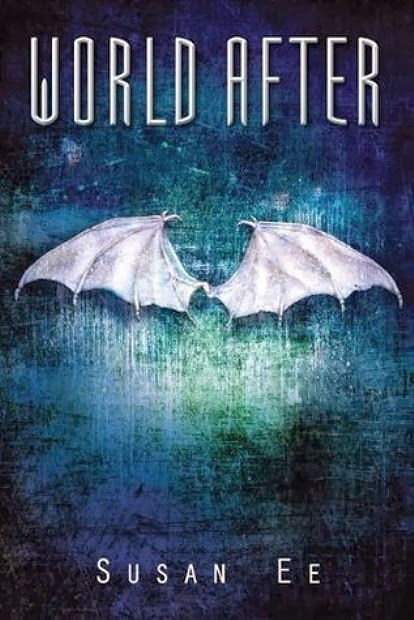 The World After is a truly horrifying, dangerous and disturbing world. And Penryn is on her own, struggling to cope. She’s a reluctant member of the resistance, and they don’t particularly trust her after her supposedly dead was bought to them by a fallen angel. Her mother is still as mad as a hatter, her sister is the survivor of a barbaric experiment and is somewhat cannibalistic and to top it all off, her only ally (and coincidently her enemy) is no-where to be found. So Penryn must struggle to not only survive but also to cope with the horrors of the world in which she now lives. Where Angelfall was predominantly about Penryn giving up some of her control and learning to cope and confide in another and the relationship that follows, Angelfall explores what happens when that is taken away. So even though, the action in Angelfall is just as thrilling, for me this was all about the emotional struggle. Penryn can’t come to terms with the changes in her sister, her mother is still as frightening and absent as before and now there’s Clara and vulnerable victims on her travels that Penryn feels bound to protect. To protect humanity. Now I’m all for a strong feminine character, one who can stand up for herself and her family. But what I like about the World After is that it quite bravely states that you can be a strong and empowered female, but that doesn't mean you can’t ask for help and support. All through the gritty action, which was brilliantly paced and ingeniously written, it was after the battle, that was the most intriguing. If I were Penryn, I am not afraid to admit I would be a hopeless wreck. And as I result I continued reading this praying for Raffe’s return, just so he could offer a shoulder to cry on or a hug…just anything. And each time this didn't happen, and Penryn’s despair is pushed into the vault once more, the world becomes even darker and that much more frightening. That’s not to say this is a depressing read. Not by a long shot. The action, the danger and the turmoil make it a great page-turner, like its predecessor. And there is some hope, and the promise of more. The next installment promises to be just as gripping and just as addictive… I for one can’t wait! Loved Angelfall, hadn't realized book two came out. Thanks for the review, it's on my TBR now!